Costa Mesa Roofing is your local roofing Contractor providing free roofing, roof repair, roof tune up estimates for Costa Mesa. 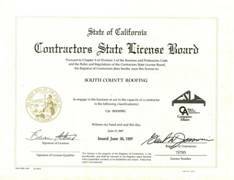 South County Roofing is dedicated to help Costa Mesa home owners with quality roofing and roof repair services they can depend on. 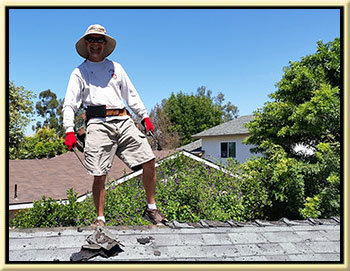 We have been working with Costa Mesa residents solving roof leaks for over twenty years. We are a roof repair only that specializes in roof leak detection for asphalt composition shingle roofs, concrete tile roofs, and flat commercial and residential roofs. Costa Mesa is full of asphalt composition shingles roofs and although it is my opinion they are one of the best roofs you can get they still will leak from time to time and they do require some minor roof maintenance. This work should only be done by roof repair only companies like us. Most roofing companies make most of their living doing new roofs but, we are not. We are roof repair and roof leak detection specialist. 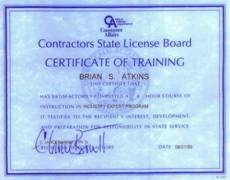 We employ a highly skilled workforce. We have a few core principles that we stand by and practice everyday on the job. We believe in working with integrity and honestly charging and repairing roofs. We do one job at a time and we finish each job before starting another. We never start jobs and leave them before they are finished. We show up every day until the job is job and only then do we move on to the next job. Roof inspections performed by us are for people looking to buy a house and they want a professional to take their time, look the roof over and intelligently discuss their options and convey and roof issues that may have come up with a professional roof inspection report. Roof Inspections are also for people who just are not sure of what is going on with their roof and they would like to have us come over to their house, do all the tasks necessary to perform and inspection, sit down with them or walk the premises and discuss items related to the roof and possible solutions, and would like to receive a complete set of pictures of their whole roof and any required repairs. We do all of this in a professional and unbiased manner for a very affordable price. No matter what type of roof you have we have repaired just about every problem your roof could have hundreds of times. 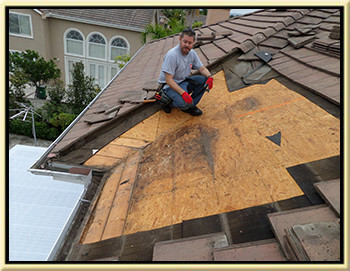 Since 1991 we have repaired 5000+ roofs here in Orange County and hundreds in Costa Mesa alone. Every roof leak repair we do comes with an extended warranty that specifically spells out that if we can fix your roof then you won't pay for it. We take pictures of every repair we do and you will be very happy to see the quality of craftsmanship we can do for your home. If you hire South County Roofing to repair, inspect, or tune up your roof you are guaranteed the job will be clean, the workmanship will be excellent, and the roofing materials used will be of the highest quality. South County Roofing has a ton of experience at repairing leaking skylights. We know how to carefully inspect your skylight and the flashing that surrounds the skylight. When a skylight leaks you could have a couple of issues going on. It important you have a professional that not only know how to access the problem but likes working with skylight. South County Roofing does like working with skylights, fixing the leaks around your skylight and replacing skylights. We get great satisfaction from seeing the happy faces of a homeowner who just loves their new skylight. If your skylight leak or if you would like to upgrade your existing skylight with a new more efficient skylight then give is a call. Having us repair on tune up your roof is a different from having just any roofing company repair your roof. Most roofing contractors have a goal to sell you a repair and get it done as profitably (quickly) as possible. 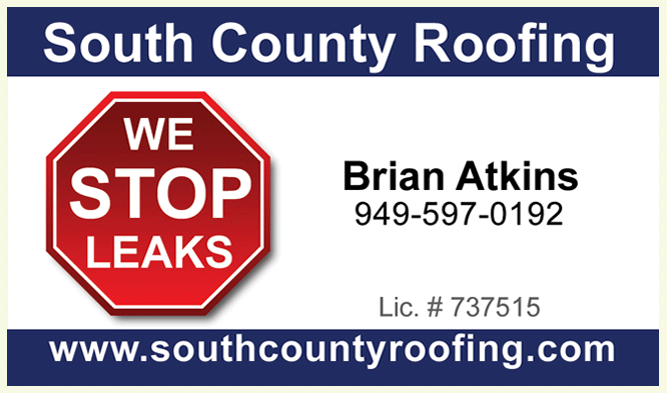 When talking to or hiring other roofers you will notice they will often refer to the cause of the leak as maybe being here or there or they have no idea of what the problem is or what is causing it. We will find the leak source, we will photograph it, and we will put the roof back together in a manner that will make it so that the area of our repair will be the last area on your roof to leak again. We do not patch roofs we make permanent fixes.